Scroll sawers, relief carvers and woodburners will love this new pattern book. 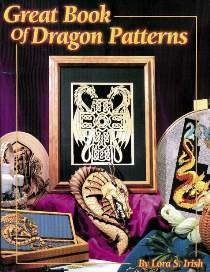 Inside you’ll find more than 60 patterns for all of dragonkind, plus instructions on how to create your own dragon patterns. Learn to draw scales, create realistic poses and add fire. Includes historical notes and dragon lore.